Me: Mom can you guys bring some vegetables from your garden? Please? Mom: I'll see what Dad can get for you, what do you want? Me: Oh, well some zucchini, cucumber, whatever's ready, I'll take. Mom: Well, we'll see what we can bring down. The next day Dad brings in the loot. A few nice cucumbers and two zucchini's. I seriously stared at them for a day wondering what to do with them! Don't worry, I know how to cook with zucchini. I love the stuff grilled, fried, mixed into many meals. It's just that I now have more zucchini than I've ever had in my entire life! I'm sure some of you are thinking "OK Maggie, two zucchini's, you seriously can't handle that?" 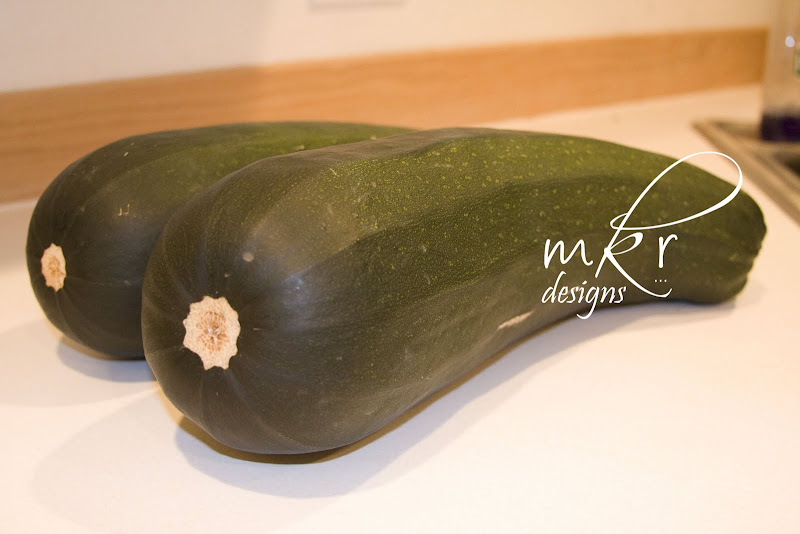 These are not just any two zucchini's though. 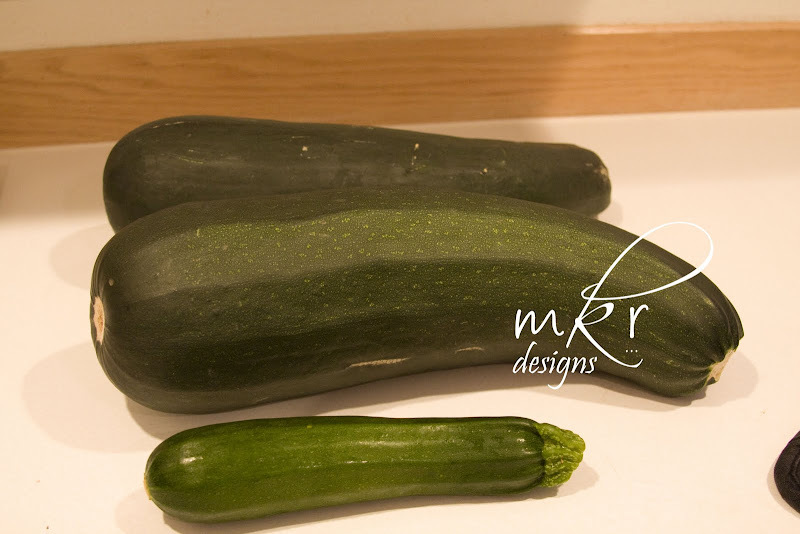 Pictured below they are beside one of the larger zucchini's I'd purchased at the store earlier last week. Now do you understand? So I'm going to be making Zucchini Salsa! Hurray! That and regular Salsa. So delicious. I figured if I'm going to break the canner out I might as well make it worth it. By the way, I just froze 10 lbs of Blueberries last night. Delicious and easy. My only problem is I'm wondering if it's enough. I have so much coming out of my garden I get really tired of making the same things! Thanks so much for visiting The Katillac Shack! So happy to have a new friend! My favorite thing to do with zucchini is to splash on a little olive oil and garlic salt and grill them---but they're much better small. When they get to be the size of a small boat I like to scoop out the center and stuff them. I appreciate your advice on my blog theft. I have a question for you. How do you put watermarks on your photos? I've used one program that can do it but I like how fancy yours are. What do you use? If you have time, could you email me at joysofhome@gmail.com?